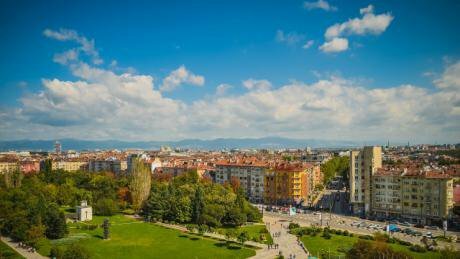 Sofia, the capital of Bulgaria. Wikimedia commons. CC. In 2017, the old EU is dead, but the new EU has yet to be born. In the context of ongoing debates, Juncker’s “White Paper” is the latest intervention in ongoing discussions over ‘multi-speed’ Europe that date back to the 1970s. Leaders from across the continent are converging on this approach as the fix to Europe’s creaking institutional infrastructure, but discussions among ‘core EU states’ have gone down particularly badly with eastern European governments. From their perspective, Juncker’s “those who want more, do more” risks turning into the old-fashioned “the strong do what they want, the weak suffer what they must” – unless certain measures are taken. Those who want more, do more? At first glance, ‘differentiated integration’ is an elegant solution to a thorny problem – how to move forward when the heterogeneity of interests is high? Allowing those who are ‘willing and able’ to plough ahead rather than wait for all the others to join should allow Europe to escape the trap of the lowest common denominator. The question that follows, however, is whether there is a common destination to which ‘core’ states, liberated from pesky troublemakers, can ‘speed ahead’? A quick look at the history of the various EU crises since 2010 suggests that hardly any of them can be blamed on reluctant member states acting as ‘holdouts’. The euro area crisis is a result of an incomplete monetary union that gave rise to the bank-sovereign loop. Yet, despite some progress on banking supervision, the core disagreements over issues such as bank resolution and deposit insurance can be traced to conflicts within the ‘core’. On the migration crisis, eastern Europeans have been most vocal, but one is hard pressed to identify appetite for effective burden-sharing in most ‘core states’. There is a second argument for ‘multi-speed Europe’ – maybe it is nothing more than recognizing what already exists and setting aside empty rhetoric. Various forms of opt-outs already abound – from UK’s (in)famous rebate, through the formal opt-out from euro adoption for the UK and Denmark, to uneven membership in Schengen. Yet, the experience of any eastern European countries makes them skeptical of this framing. Bulgaria, for example, satisfied the official requirements for joining Schengen back in 2010, but has been repeatedly blocked by France and the Netherlands. Similarly, it has been in a currency board with the euro since its creation, has low public debt, low inflation, and limited fiscal deficits; yet it is still largely stopped from joining ERM II, the euro’s ‘waiting room’. None of these are opt-outs it has demanded; instead, it has been repeatedly denied entry into these mechanisms by others. For countries like Bulgaria, discussions about ‘differentiated integration’ have profound domestic repercussions. The rush to join the EU in 2007 generated an extraordinary momentum for reforms. Since then, the pace of change has stalled as external stimuli weaken and the logic of state capture returns. Consequently, Bulgarians are among the most ardent supporters of the European project. Almost half of the population have a positive view of the EU and trust the ‘distant’ Brussels institutions while only 15% express trust in the national parliament. Getting stuck in a ‘loose periphery’ will have clearly negative consequences. Over 70% of Bulgarians welcome a special EU monitoring regime of its judicial system and many see it as one of the rare elements that generate some momentum for change. Meanwhile, EU cohesion funds have gradually come to account for the overwhelming majority of capital investment in the country. The practical impact of both arrangements can be debated, but ‘really existing’ multi-speed Europe clearly means less impetus for judicial reforms and less infrastructure. Some argue that the right approach is to make the most of what ‘multi-speed Europe’ can offer. However, experience with similar mechanisms warrants some pessimism. In 2014 in the wake of the collapse of Bulgaria’s fourth biggest bank due to corrupt practices, all Bulgarian political parties pledged to join the European Banking Union. This was supposed to make use of a clause that allows for ‘close cooperation’ with non-euro countries that comes close to ‘those who want, do more’ logic. Yet, this initiative quietly slipped off the political agenda and EBU membership instead looks even further away today. To avoid such pitfalls, ‘multi-speed Europe’ should be pursued by a method of ‘open integration’ that participants can join according to clear and public rules reducing the risk of involuntary exclusion. Such ‘differentiated integration’ should be based on already existing mechanisms in the EU treaties. Unfortunately, throughout the euro area crisis, the EU has become increasingly reliant on intergovernmental mechanisms outside the treaties. However, the Single Supervisory Mechanism’s ‘close cooperation’ procedure may serve as an example of how to embed ‘open integration’ in institutional design. Overall, eastern European governments have some legitimate worries over how discussions are currently evolving. They should certainly respond by undertaking important reforms, particularly in areas such as the economy or rule of law. However, getting ‘multi-speed Europe’ right also requires embedding a principle of ‘open integration’ in all future discussions, centered on mechanisms already provided in EU treaties rather than intergovernmental agreements. Ultimately, the EU always does the right thing – but only after trying everything else.